A full-range of workplace learning and performance solutions to help your organization generate a return on its human capital investment during change. 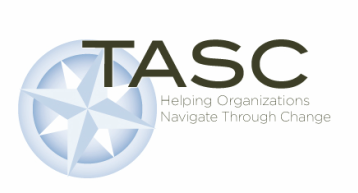 How can TASC help manage your change? Facilitated Change Resilience Workshops for over 4000 participants. Participated on change team to assist with the merger of two large airlines. Served as a change lead where technology was outsourced to a third party. Provided change management training for a team of change consultants at a major health care provider. Served as a change lead for large, complex ERP implementations (SAP, PeopleSoft). Please click on the LinkedIn icon to see a full list of project examples.